CC-5052 was a clone marshal commander who served both the Galactic Republic and the Galactic Empire that followed. A clone of Jango Fett, CC-5052 was bred on Kamino, where he was trained as an Advanced Recon Commando by Alpha-17. 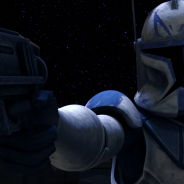 Alpha-17 also gave CC-5052 the name “Bly,” which the clone commander himself adopted. 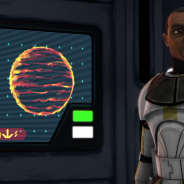 Assigned to the 327th Star Corps, Bly worked with Jedi General Aayla Secura throughout the Clone Wars. Serving in campaigns on planets such as Quell, Maridun, Alzoc III, Florrum, and New Holstice, Bly worked with Secura to personally extract a valuable Scientific Instrument Package from Honoghr. 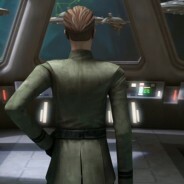 During the mission, Bly encountered renegade Jedi Quinlan Vos, whom he deeply mistrusted. Shortly after the Honoghr mission, Bly and Secura served alongside the reformed Vos in the Siege of Saleucami. 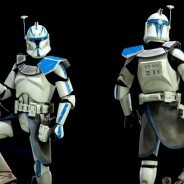 CT-7567, nicknamed “Rex,” was a clone trooper captain during the Clone Wars, the galaxy-wide conflict between the Galactic Republic and the Confederacy of Independent Systems. Rex was in command of Torrent Company, a unit of the famed 501st Legion in the Grand Army of the Republic. Rex served under Jedi General Anakin Skywalker, and was a freethinking, tough, and aggressive trooper. Though loyal and committed to his duty and to his fellow clones, Rex proved capable of questioning his superiors and, under extreme circumstances, outright disobeying orders if he believed them to be wrong. Rex displayed a strong working relationship and a degree of friendship with Commander Cody. Wullf Yularen was a male Human who had a long history of service in both the Galactic Republic and the Galactic Empire. During the Clone Wars, Yularen was persuaded by Palpatine to join the Republic Navy as an admiral—becoming one of the youngest naval officers to hold the rank—and the naval commander of Jedi General Anakin Skywalker’s fleet. Yularen was aboard the Death Star when it was attacked by the Rebel Alliance, and he perished when Rebel pilot Luke Skywalker successfully destroyed the station.